(From L.) The Kennedy family of Cato, NY, c. 1913-1918. 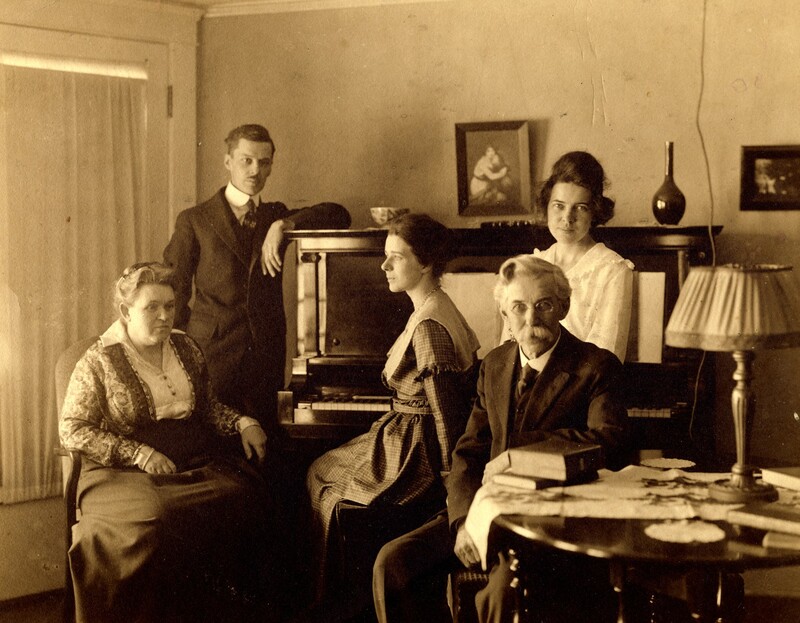 My great-grandmother Edna, my grandfather Wells Bennett, my grandmother Sybil, my great-grandfather Edward, and my great-aunt Celia. In a series starting here I’ve been looking at a memoir entitled “When I Was a Girl” by my grandmother, Sybil Crowninshield Kennedy Bennett. This post concludes the series. To view the whole sequence, go to the search box and type in the words “Long ago.” The posts in the series will appear. We have seen my grandmother’s account of her experiences growing up in a small town in upstate New York with a population of 400. It was a world in which—for better or for worse—one could not escape connecting with one’s neighbors. Grandma describes the experience of walking through town. Going up town on errands was not a pure pleasure. First, we passed the Disciples Church and the school house, then a big orchard and the Hawes’ place where old Mr. Hawes had been paralyzed in bed as long as we could remember. We could see him in the sitting room in bed when the door was open. Mrs. Hawes came out often to ask us a few questions. Children were pretty good sources of news about which one didn’t like to ask adults. We would stand on one foot and then the other if she caught us, restless to be off, but if we saw her first we skipped by as fast as possible, acting as if our mother was in a big hurry for us to do the errand. Sixty years later, Grandma remembered every detail of that street and every name. After the Hawes house came the two shoe repair shops of Mr. Perry and Mr. Pair, the latter our only Frenchman, with waxed mustache and a dirty vest. The three Miss Perrys might be out in their garden tending their rosebushes, lilies, bleeding hearts, lilacs. They often gave us a flower and little lecturing on deportment. Then came Cousin Theoda’s home, where Grandma took music lessons, and the home of Mrs. Dutton, the milliner, and her son Corry, a photographer who played cornet in the Cato town band. Later, something interesting happened to Corry. He went away for several years and formed an attachment for a young lady in Grand Haven, Michigan. When he returned he wrote to her but never received an answer. This must have surprised and disillusioned him. After his mother died, some twenty years later, he was going through her bureaus and closets and found a letter from his girl which his mother had intercepted and hidden. He promptly wrote to her and received a reply saying that she had been married and widowed and would like to see him. In a short time he brought her back to Cato as a bride. Next came the Hotel barn. It smelled awful and there might be a drunken man there to get by. If it were only George Washington, the hostler, the only colored man in town, it was fine. He always had some fun with us or gave us a piece of candy. Then came the barroom with the long porch in front smelling of whiskey, a terrible place to us… Some of the men were regulars and might “make remarks” which made us blush and run, so we usually did run up the hill as fast as we could if the porch was occupied. Then came two meat markets, one of which was run by a man with his thumb on the scales; and several clothing stores, one of them owned by Jake Amdusky, the town’s only Jew. The best penny candy in town could be found at another store, “old Jacky Doud’s.” Next, Mr. Casey’s tobacco store, two barber shops, a hardware store, and a printing office that produced the weekly paper. Past the lumber yard and farm supply business stood the apple dryer where many of the town’s women worked in the fall, and a tobacco sorting warehouse. Then came the factory that made hubs for wagons and the Milk Station, where farmers brought their milk to be shipped to New York by the morning train. This also happened to be the place where the Cato band practiced. On summer evenings you could hear them, mostly the drums beating and thumping. The summer night was full of sounds of music practice, trombone, cornet, clarinet and pianos and singing. It was pretty amateurish. On the other side of the street came the blacksmith shop, Dutton’s foundry—where ploughs were made—and my great-grandfather’s shop, where he did carriage-making and repair, building buggies and wagons. After he retired from this business, it was where he made his violins. 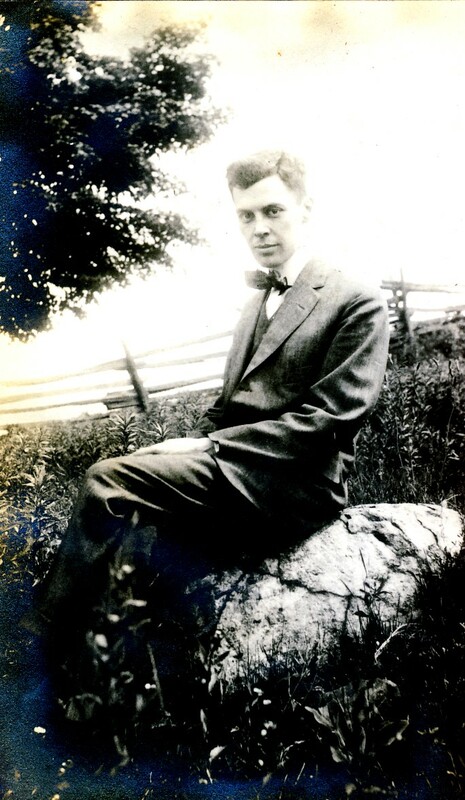 As described in an earlier post, my great-grandfather was the child of Irish immigrants and had very little schooling; yet he placed the utmost value on education. He loved to read and eventually became president of the Cato School Board. My great-grandmother grew up in a wealthier family—but one that did not believe in education for women. Yet she cherished her books of poetry and literature, memorizing scores of poems that she would recite in odd moments when she wanted something inspiring to think about. My grandmother and her sister thought of books as pure gold. They would go to any lengths to obtain new ones to read, such as getting their friend Mildred, who didn’t like to read, to take out books for them from the school library when they had met their own borrowing limits. Grandma went to Syracuse University, where she became interested in the new field of sociology. 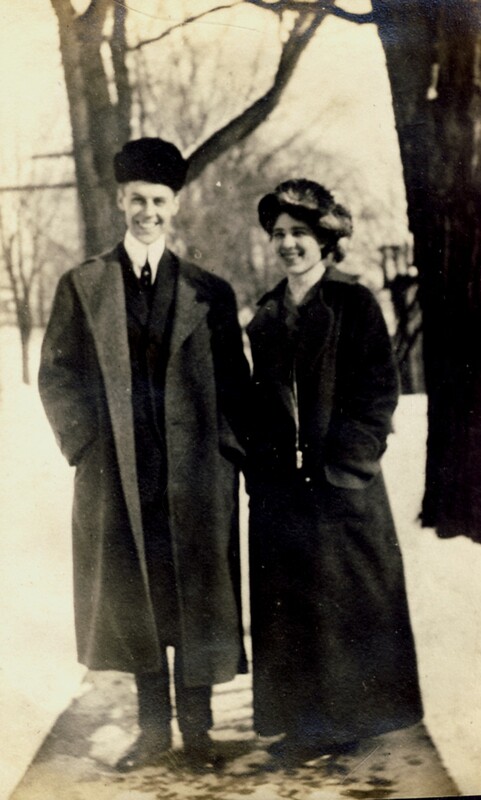 She married fellow Syracuse student Wells Bennett—from a neighboring town—and moved to Ann Arbor, Michigan, where he taught architecture at the university. There she obtained a master’s degree in sociology and assisted the well-known Professor Charles H. Cooley, as described in the last post. Sociology! What a subject for a girl who grew up in a small town, way back then! And yet it followed naturally from my great-grandfather’s ideas. He was a fervent supporter of the vote for women, a man of progressive ideas, one with a vision of an inclusive society. He enjoyed making fun of snobbery and “conceited” behavior. Being Irish my father loved to talk and argue. He used to discuss and orate about what he read, listened to or not by the rest of us. 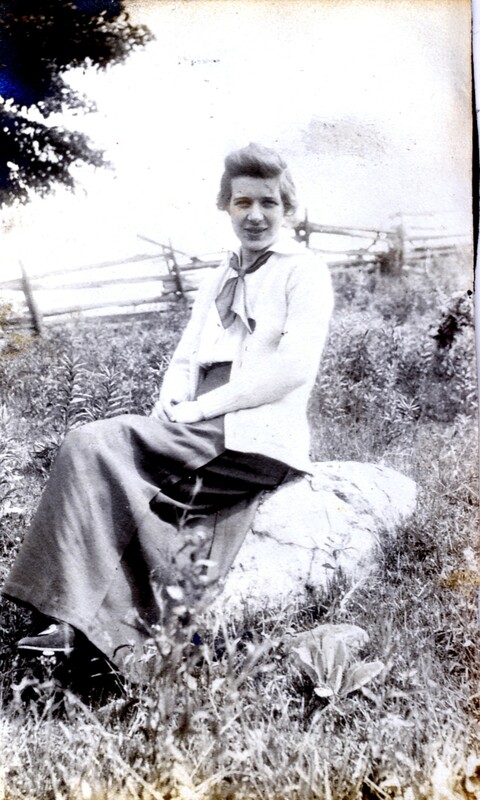 My grandmother had always been gregarious and bright, getting involved in group activities such as Sunday evening meetings for the young people of the town’s Presbyterian Church. From about ten years, I took an active part, playing the wheezy little old reed organ in the Sunday School room, and leading meetings, prayers and all. I was President when about twelve and really worked at it. Mr. Campbell, the minister, was very touched and helped me in my zeal for bigger and better meetings and activities. Of course I wonder what sorts of things Grandma would have done if she had belonged to a later generation. 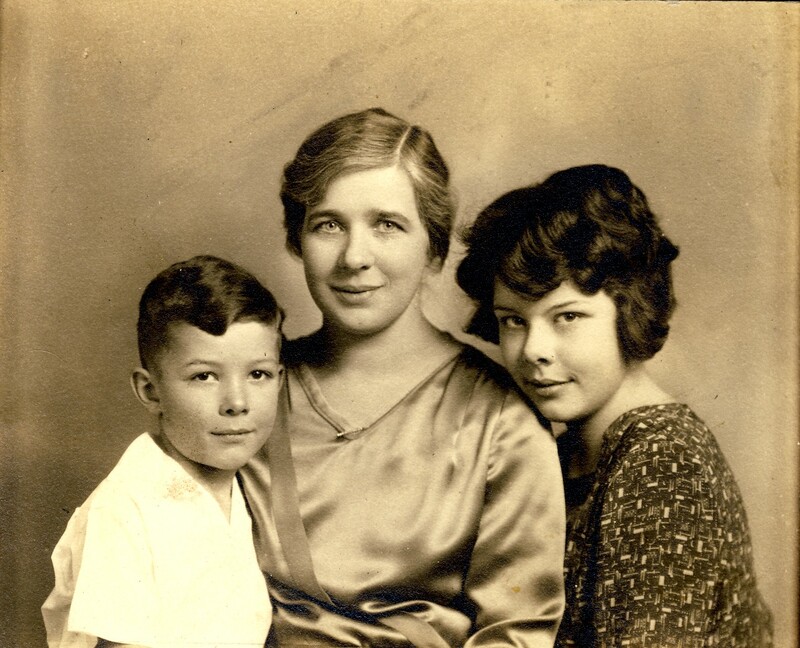 But in 1918, when my Aunt Phyllis was born, her primary vocation became motherhood. My father was born in 1923. 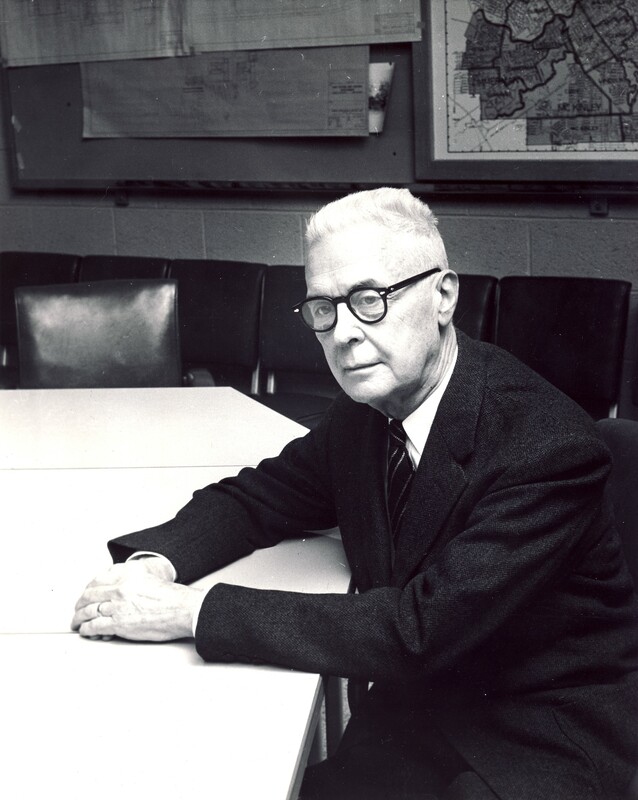 My grandfather advanced in his career, becoming Dean of the University of Michigan’s College of Architecture in 1938. Grandma was a great helpmate to him, particularly in dealing with the social side of his position—he tended toward shyness, while she thrived in the social activities that went with the dean’s position and its many attendant professional organizations. The family traveled to Europe in 1932-1933, where Grandpa studied current developments in architecture, particularly in Germany. He had a special interest in low-cost, functional architecture and in how European nations had rebuilt after WWI. He adopted ideas of the modernist Bauhaus School founded by Walter Gropius. 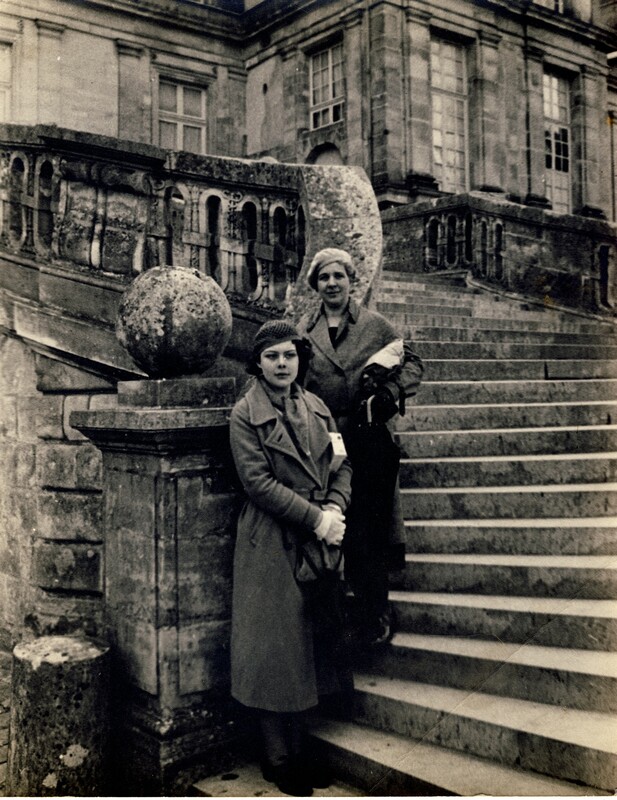 They saw many sights, and my great-grandmother joined them for the latter part of the trip—I believe it was the only time she traveled overseas, and it must have been the experience of a lifetime for her. In 1953 Grandpa designed a modernist-style house for himself and Grandma to live in, on Geddes Avenue in Ann Arbor. I remember as a child being fascinated by the house and all its unusual touches. The modernist aesthetic stirred my imagination with vague ideas of a futuristic vision. Grandpa was in touch with inventive thinkers such as Buckminster Fuller, proponent of the geodesic dome. He retired in 1958, but Grandma and Grandpa traveled overseas several times in the following years. He had developed an interest in harbors and seaports, which took them to places like Sicily. Grandpa died in 1966, and Grandma lived on until 1980. She stayed in the house on Geddes Avenue, taking in university students as she got older in exchange for help with errands and chores. My cousin Conant, my brother Peter, and my sister Betsy were among those who lived with her for periods while students at Michigan. Sociology, geodesic domes, Bauhaus architecture… not what one might expect as interests for a man and a woman who grew up in neighboring small towns in upstate New York. And yet, I believe, two main forces came into play. The first and foremost was family influence, the idea that education was the gateway to a much wider world. The second was the atmosphere of the towns themselves, places of participation rather than exclusion, contact rather than isolation—places where differences and eccentricities might be well known to the neighbors, but were accepted as part of the common human experience. We weren’t formally engaged until September 1912, in Jamestown, New York, where I was a YWCA secretary. 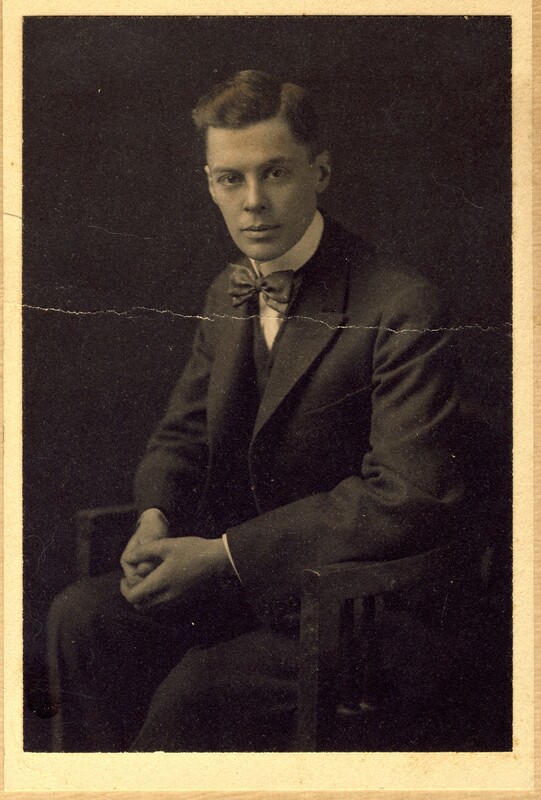 He was working in Greensburg, Pa., in the architect’s office of Paul Bartholemew. That same month he was offered an instructorship at the University of Michigan at $1100 per year. We decided to be married the next year at Christmas time. I was quite ill for a long time [with a thyroid problem that required surgery] but we kept our plan for a Christmas wedding, December 20, 1913. It was small, only the families and a few friends, about twenty people. We were married in the parlor [at her family’s home]. A cousin from Connecticut sent a large box of mountain laurel sprays which we used to decorate with. It looked very pretty with the green laurel twined around long pier glass and the windows on each side. Mr. George Nichols was the minister. His wife sang a horrible solo. We had it to please her. My Uncle Jim’s legs shook visibly in the range of my vision and my sister looked lovely in a mahogany colored crepe with natural brown maribou trimming. I had an embroidered voile in white trimmed with a sash of white chiffon knotted and draped at the side. The voile was very fine and heavily embroidered with a border. Wells had a navy cheviot suit and looked very handsome as he always has. The luncheon was served at home with help of neighbors—oyster bisque, fried chicken, potato croquettes, with salad, vegetables and home made ice cream and wedding cake. We scooted out the back door ostensibly to see the girl next door, Mildred, who was sick in bed, and didn’t come back. This was bad because they couldn’t decorate our car but we wanted to be off. Mr. Clarence Jones drove us to Fair Haven [where Wells’ family lived] in his car. It was a very pleasant day, sunny and no snow. At Fair Haven, we took Wells’ father’s horse and buggy left there for us, for the final three miles to his home. They [his parents] stayed away from home several days. We stayed up there over Christmas, having Christmas dinner at Wells’ sister May’s. For our first supper I made cream of tomato soup with real cream. It tasted delicious to us and we had much nice food Grandma Bennett had left us. They were worried about the butter churning, whether the cream would keep until they returned. We settled it for them by churning it ourselves and made nine lbs. of butter which we took with us when we left. We practiced thrift from the start, if not larceny or something. We came back to Cato, packed our things and reached Ann Arbor on the Wolverine train early in the morning of January 5, 1914, and have lived here ever since. Posted by Jenny in history, memoir. Wells and I met on the Lehigh Valley train coming home from Syracuse University when we were juniors for Thanksgiving vacation. Several Syracuse students were on the train. The boys were singing and giving cheers after a football victory, the Colgate game which was the big game of the year. We girls joined in, Alice, Celia and I, and so were introduced. This was necessary then. Alice knew one of them so she could speak to him. 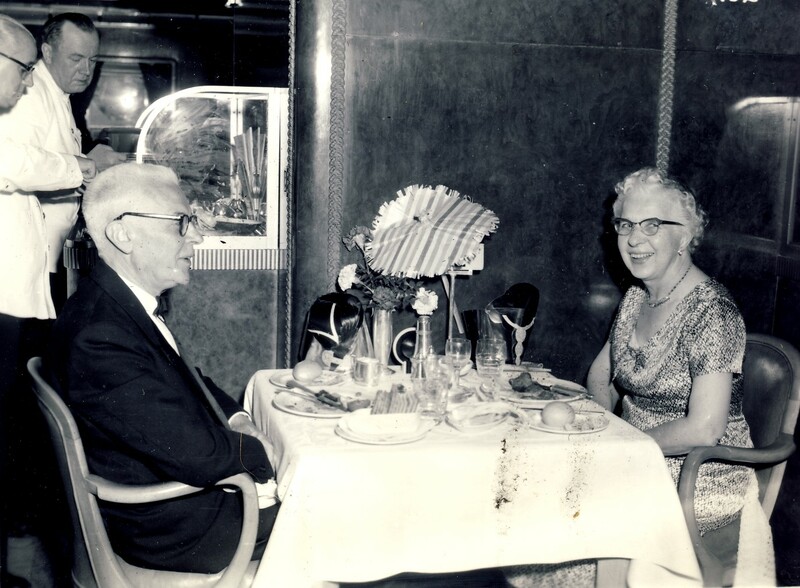 We [my grandfather and grandmother] had been on the train several times together and each knew the other was a Syracuse student but in those days one had to be properly acquainted before we could speak. Soon after that Wells called on me and so it all began. I remember on Washington’s Birthday about 1909 he came and took all three of us to a moving picture show downtown. It was our first real movie except for an occasional reel shown in a lecture at church. These were the days in which the train ran right out into the audience head on. It was a slushy, snowy day and we walked back to the campus about one and a half miles in the snow, eating cream puffs which he bought at a bakery, having a hilarious time with our own wit, which was not bad, I think even now. We were soaked in water to our knees. We girls later sat with our feet in the bath tub to prevent catching colds and discussed which one of us he really liked. We decided Alice was prettiest, Celia was most charming, but even so he seemed to like me the best, and so it turned out. We had a good many dates after that. He took me downtown to the theatre to see The Chocolate Soldier and to another musical show in which a girl was shockingly dressed as a rabbit, a very good show. Also to a harp concert, then quite the thing. Six girls were dressed in white satin, each playing a green and gold Irish harp. We went to the Vesper Services at the First Presbyterian Church, walking the long distance. We seemed to like long walks together better than everything. Hot chocolate was the usual treat. It was awfully good and the cups although big, not big enough. “Walker’s Drug,” about six blocks from Winchell Hall where I lived was the place we went, the student hangout. At Commencement time he took me over on the north side to Otto’s, an old German restaurant, where beer was served. It was off limits for students. It was very daring and much fun. We were really quite in love that night. I remember a kind of magic about the whole thing.